Lavender essential oil is collected through steam distillation and is often referred to as English Lavender even though its historical usage goes back thousands of years to the time of the Romans and ancient Egyptians. Lavender comes from the Latin word lavare, which means to wash. Lavender oil was originally used for hygiene purposes in baths, on bedding, on clothes, and in hair, and then for medicinal reasons. Lavender oil is frequently used in Traditional Chinese medicine for its antibacterial effectiveness. Lavender oil possesses beneficial antiseptic, anti-inflammatory, insecticide, digestion, skin care, antioxidants, and mental and physical relaxation properties. Isagenix Lavender Essential Oil can be helpful in both its pure and its diluted stages and is safe for application usage orally, topically, and aromatically. Individuals with skin sensitivities should test a small skin area with one drop of Lavender essential oil before applying over large skin areas. Isagenix Lavender Essential Oil has a long and varied list of uses to enhance personal health care and to benefit environmental wellness. A bottle of Lavender Essential Oil is a must for every home’s personal hygiene, cleansing, and aromatic freshness supplies. 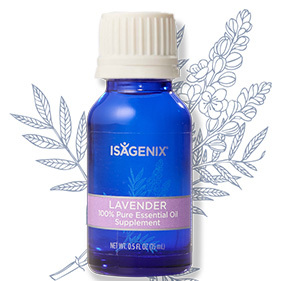 Topical use of Isagenix Lavender Essential Oil helps with: skin care improvements, promotes healthier hair follicles, reduces acne, delays signs of aging, faster wound healing, minimizes bacterial infections, soothes razor burns, improves quality of sleep, relaxes muscle stress, eliminates skin itchiness, protects against insect bites, eases pain relief, protects against free radical damages, and freshens laundry. Aromatic use of Isagenix Lavender Essential Oil helps with: brain function improvements, relaxes mental stress and physical strain, repeals insects, relieves tension, and eliminates headaches. Internal use of Isagenix Lavender Essential Oil helps with: oral hygiene, minimizes intestinal and digestive issues, and enhances flavorings in home cooking recipes. PRECAUTIONS: Prior to the first application of Isagenix Lavender Essential Oil, test for possible skin sensitivity by applying oil to a small patch of skin prior to use on large skin areas. Keep out of reach of pets, small children, and infants. If taking medications, if pregnant, or if nursing, always consult with your primary medical professional prior to any health care changes. Avoid eye contact with any pure strength essential oil. How Do I Buy the Isagenix Oil Lavender? 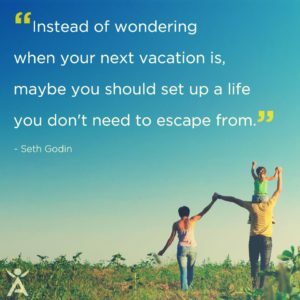 RECOMMENDED: Sign up and Save (CA$23.99 Signup) — Sign up to the Isagenix autoship program to become eligible to have access to the cheapest wholesale prices. At the end of the checkout process you’ll be asked to set up your next month’s order. Autoship can be cancelled at any time, even after you take advantage of the cheaper prices on your first order! There are no locked in contracts of any sort. Plus, this gives you the opportunity to participate in the Isagenix business (this is 100% optional). Full Retail (CA$31.99) — If you prefer not to sign up and take advantage of the lower pricing, you can purchase the products at full retail price. This is not recommended as you can cancel autoship at any time.